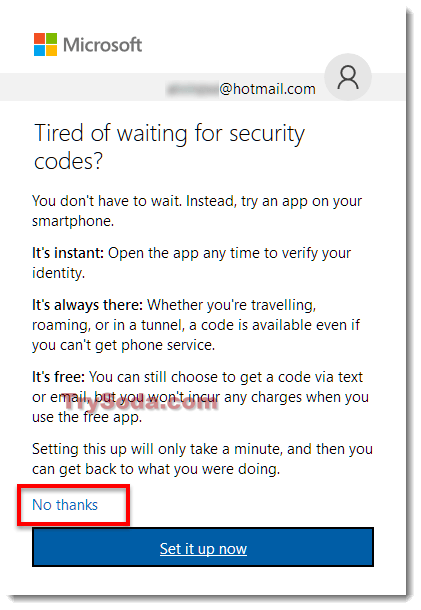 So, for whatever reason you want to close or delete your Outlook account from Microsoft, you may already have gone through some other sites that claim to have the guide to do so, but nearly all of those instructions and screenshots are outdated. They are using the old outlook interface in the instruction which obviously doesn’t exist anymore. You won’t be able to find the Close account link from anywhere in your outlook options or settings, because it isn’t there anymore. 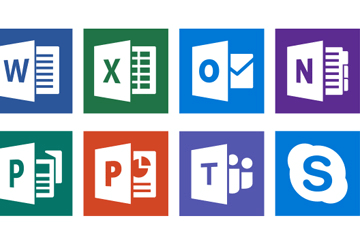 To delete your outlook email account, you will have to go to a specific link provided by Microsoft. That’s the only link that can lead you to full deletion of your Outlook account permanently. The reason why Microsoft makes it even more difficult to delete an account from them is obvious and simple. They don’t want you to leave. They want to minimize the number of leaving customers and maximize their potential profit, as always. 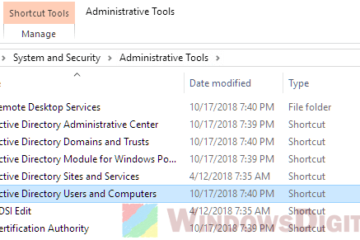 Without further ado, here’s a detailed instruction on how to permanently delete an Outlook email account from Microsoft. Go to this link – delete Outlook account. Sign in to your Outlook account as requested. If you have already signed in, skip this step. You’ll be asked to verify your identity. 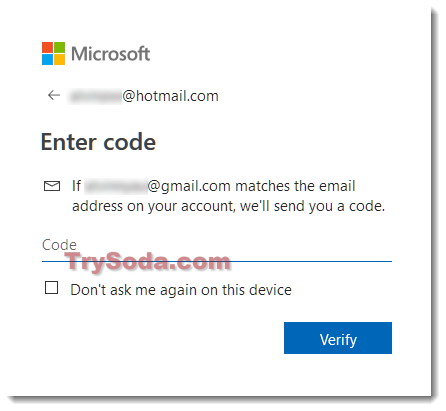 If you have previously provided a secondary email account, you will be given the option of using this particular email to verify your account. Click on the Email area and skip to step 6. If you don’t see email as an option to verify, or if you can’t remember your secondary email, click on I don’t have any of these link. 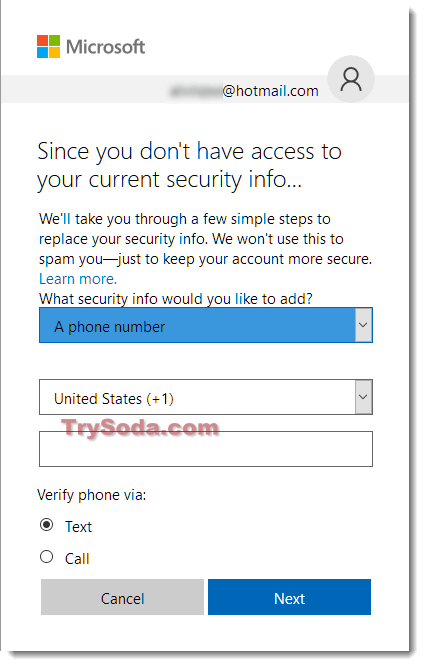 You will have to give them whatever you can, like a phone number, in order for them to verify your identity by text or call. 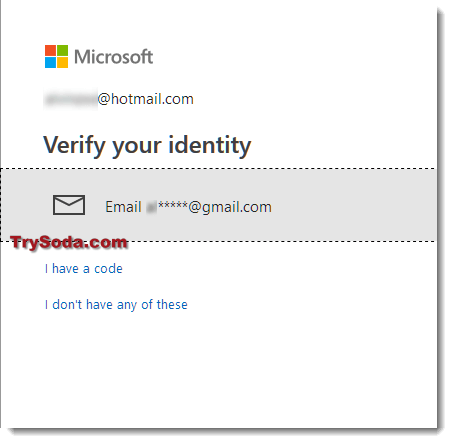 If you’re using the email as the verification method, in the next screen, enter that specific email you’ve given to them during your Outlook sign up. Then, click Send code. 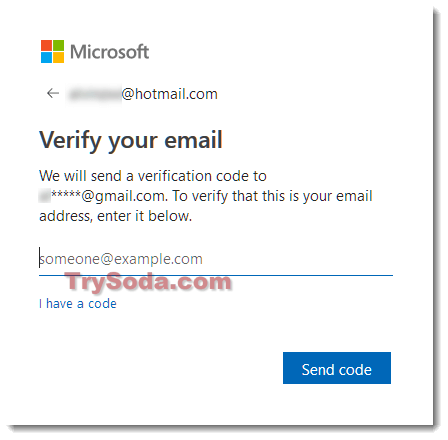 A security code will then be sent to the email address you’ve entered. Check the inbox in that email. Enter the code in the field provided, then click on Verify. In this screen, it will ask if you would like to always stay verified. We are deleting outlook account here now. This doesn’t matter at all. So, just click on No thanks. When you are at this screen, you should read everything before you proceed. 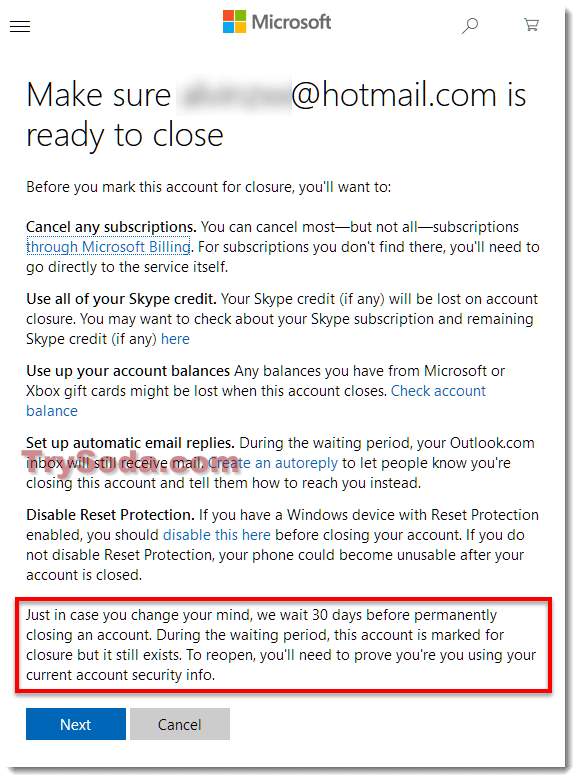 As its title suggests, make sure your outlook account is ready to close. It shows you what would happen to your outlook account when it’s deleted. Click Next after you’ve done reading them. This is the final agreement page. 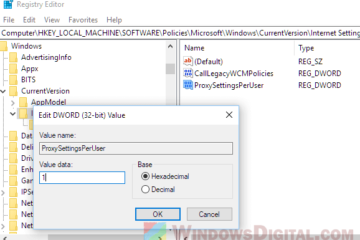 You will have to check all the checkboxes and select a reason for deletion of your outlook account. 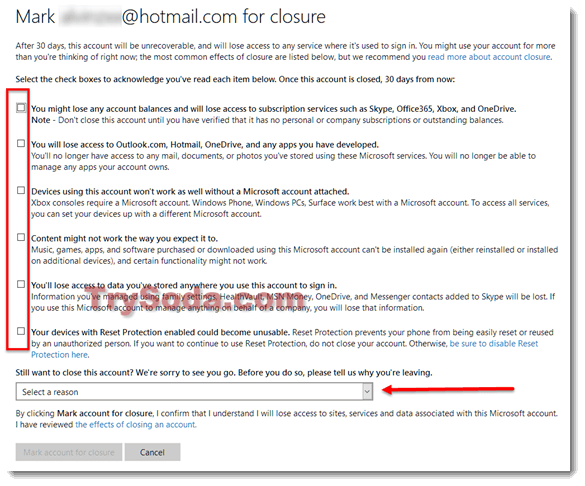 Only then you can click on the Mark account for closure to delete your outlook account. Be sure to read everything here before you finalize your decision. Once the Mark account for closure button is clicked, there is no going back. Your Outlook email account is now closed and deleted. If you don’t trust the link I provided in step 1, here’s where I got it from. It is quite a hidden guide beneath Microsoft’s support library. There will be a 30 days window which you still can retrieve your deleted account. But, it would be a real hassle to prove that the account is yours during the retrieval. After the 30 days window, your account will be nonexistence. It’s worth mentioning that deleting your Outlook account will also terminate your Skype account associated with it. Think again before you make the decision. If you like this guide, consider liking our Facebook page for more useful tips and guides. If you’re having a tech related issue, you are welcome to seek help from us via the messenger in our Facebook page or via our email in the about page. Description for sharing: Nearly all guides elsewhere are outdated. 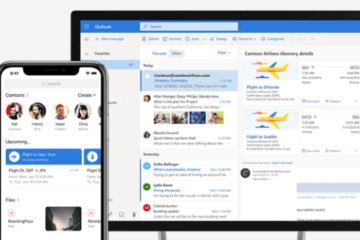 Here's a detailed 2018 updated guide on how to close or delete an Outlook email account from Microsoft permanently via the new Outlook interface.